The C and E class are the best selling cars by Mercedes Benz in Pakistan. There are 57 E-class and 50 C-class listed in the used cars section on Pakwheels’ classified. And they are cheaper then the Japanese competition here in Pakistan. The new Mercedes Benz E Class E200CGI LIM as listed on pakwheels is for Rs. 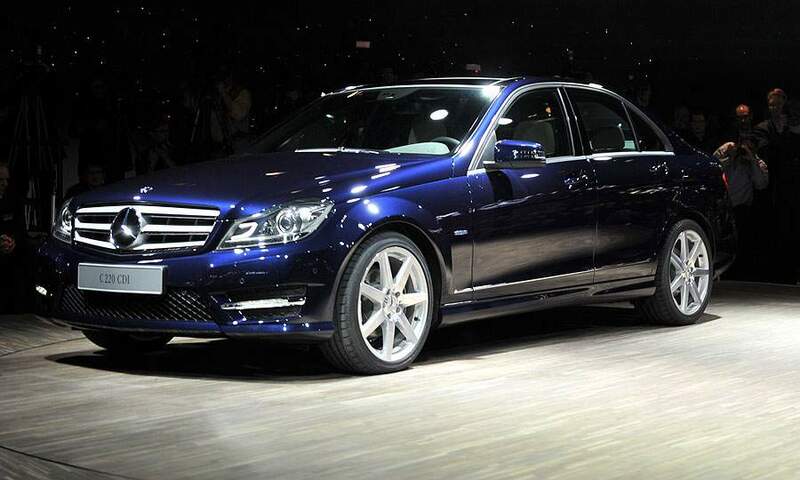 7,069,800, the new C Class C 180 CGI is for Rs. 6,050,000 and C Class 180 Komp is for Rs. 5,630,000. The Japanese didn’t bring the cars which actually compete with these classes of Mercedes Benz around the world but they brought the Camry and the Accord here which are ridiculously priced at Rs. 7,999,000 and Rs. 5,953,000 respectively. If I were a rich guy looking for a car in that amount in India, I could’ve bought the BMW M3 coupe version but unfortunately I am not, so I’ll rather opt for either of Mercedes Benzs depending on my budget. However, since none of these cars are about performance neither does Pakistan has any offering in terms of motorsports thus I will care about fuel mileage certainly. Honda and especially Toyota have become metaphors for good mileage and reliability but change is here, Autocar reports that the next generation of Mercedes C-class will have hybrid technology on every model to bring down fuel consumption down to super mini levels. The next generation of C-class, is expected to launch in late 2013 is being developed to meet the demanding CO2 targets. Prototypes are being tested and Autocar predicts that world might see a three-cylinder C-class or maybe the 4-cylinder engine will be fitted with cylinder deactivation technology, making the car run on just two cylinders. BMW has indicated that the M department will showcase a conceptual M3 which won’t likely see production at the Shanghai Auto Show this April. The concept will showcase how BMW M can progress with full lightweight body shell and chassis from the BMWi program which will be certainly used in the future BMW models. It is going to be more a engineering and performance concept showcasing how an E92 M3 can be lighter, faster car without adding any power through the help of carbon fibre technology. Few analysts suggest the newer C-class can use this concept of making the car lighter to gain better fuel economy. The next generation of C-class is expected to shred of 10% overall weight even after the added weight of battery pack, electric motor and power electronics. BMW’s concept is the future of motorsport which I have already started drooling over but Mercedes’ hint towards fuel economy and lesser CO2 emission by using the same idea used by BMW’s M for their concept. Although irony is at force here but I think you now know what to choose as your next luxurious boat on Pakistani roads.